This is an update to my earlier post on “This Product Can Make You ‘Stupid’.” I’ve been asked for alternative products that are free of High Fructose Corn Syrup (HFCS) and Gluten. Here are a few options for this weekend’s BBQ fun. I’ve also included Hansen’s sodas for those who were asking for suggestions on drinks. 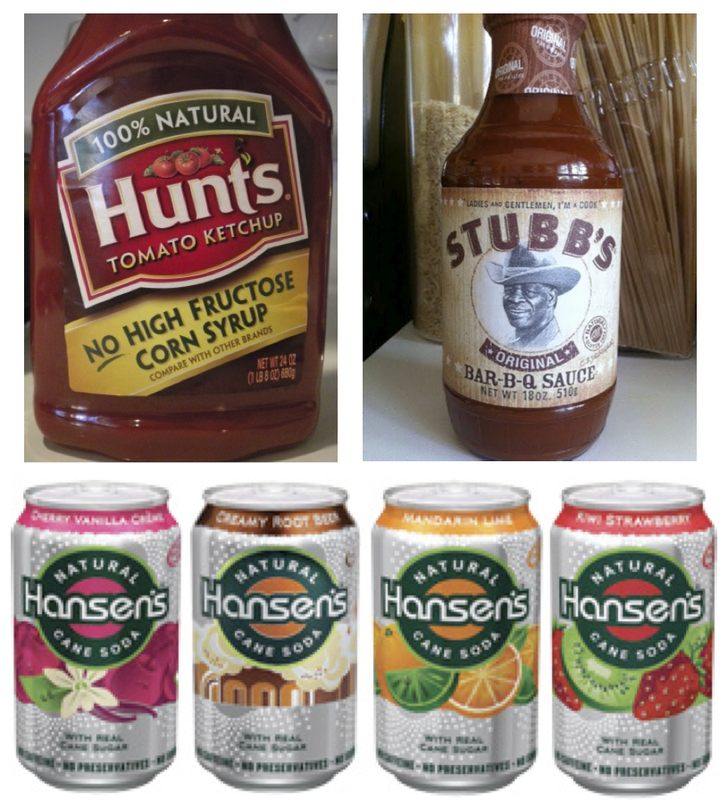 Though Hansen’s sodas are HFCS and Gluten Free, not all Hansen’s sodas are made equally. Be sure to purchase only the “Natural Cane Sugar” and NOT the “Diet” for it contains Splenda as a sweetner. (That will be a whole other subject to write about!) Of course I will always recommend water, especially because of the heat– you should double your normal water intake. And remember, though they are natural, they are still high in sugar. Have a safe and joyous Labor Day Weekend!